A pair of Little League® graduates will make their way into Cooperstown this summer, as Trevor Hoffman and Chipper Jones were voted into the Baseball Hall of Fame by the Baseball Writers’ Association of America (BBWAA) on Wednesday, January 24. Mr. Hoffman and Mr. Jones will be inducted on Sunday, July 29, in Cooperstown, joining 23 other former Little Leaguers to earn the honor. Mr. Hoffman, a graduate of Northwest Anaheim (Calif.) Little League, earned his spot in Cooperstown after being on the ballot for the last three years. The former closer holds the National League record with 601 saves and is second all-time only to Little League Hall of Excellence enshrinee, Mariano Rivera. A seven-time All-Star and two-time National League saves leader, Mr. Hoffman has had his No. 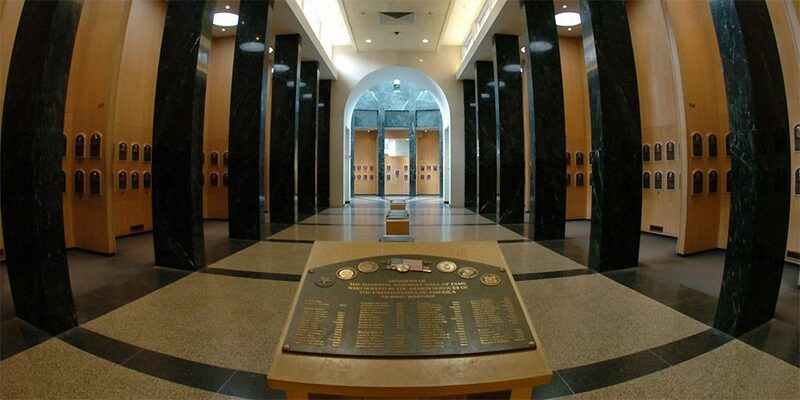 51 retired by the San Diego Padres and now becomes only the sixth reliever to enter the Baseball Hall of Fame. In 2002, Mr. Hoffman’s parents, Mikki and Eddie Hoffman, visited Williamsport to be honored as the recipients of the George and Barbara Bush Little League Parents of the Year award. The former closer for the Padres received 79.9 percent of the votes from the BBWAA, solidifying the final spot for the Class of 2018 by 4.9 percent. Mr. Jones played in West Volusia (Fla.) Little League, and receives baseball’s highest honor in his first year of eligibility. Mr. Jones was an eight-time All-Star third baseman with the Atlanta Braves who finished his career with 468 home runs and a .303 batting average. As a teammate of fellow Little Leaguers and Hall of Fame pitchers Tom Glavin and Greg Maddux, Mr. Jones was a standout on an Atlanta Braves club that claimed 14 consecutive division titles. He led the Class of 2018 with 410 votes (97.2 percent) from BBWAA members. With their election, Mr. Hoffman and Mr. Jones join Vladimir Guerrero and Jim Thome, as well as Alan Trammell and Jack Morris, who were selected by the modern era committee, in Cooperstown in July.